Kim Jong Un’s Scenario ~ He Unleashed The Tiger ! Here’s the most probable scenario that has heppened to North Korea’s Kim Jong Un ! I.e. he is no longer effectively having control of the Army and even the party. However, at this stage the generals are also in a situation that among them there is no unanimous consensus to immediate overthrown their young master…. as they have the fear that the people cannot accept the sudden change of their ruler and it may cause an uncontrollable upheaval in the country. So, the generals have to wait… especially over many decades of indoctrination the North Korean people already took it for real that the Kim’s family is the God…. 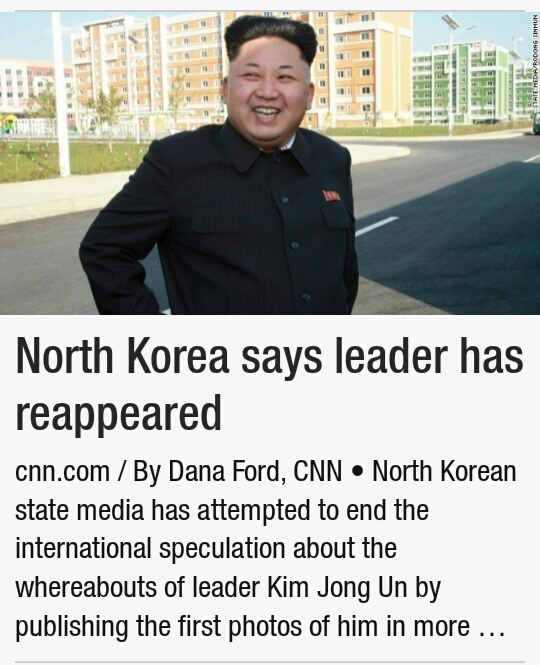 This time around, what has happened (Kim’s disappearence) is not so simple as many analysts have reported. Actually this stupid young guy has shot at his own feet! In hindsight he shouldn’t have removed and killed all his father’s old guards and generals sooo fast! Including his own uncle. His father definitely had a more well thought out scheme to put in those old guards to ensure stability over a certain period of time. But young Kim screwed it up big deal. He might have been spoofed by the other factions of generals to do this … i.e. to remove the old guards and seize power. Yet Kim Jong Un failed to see what the other generals scheme of things, and the young Kim fell into the trap!!! Now he ends up powerless. So, continue to watch the drama, it’s not over yet. Because now both sides (Kim and his ambitious generals) have come to a deadlock. 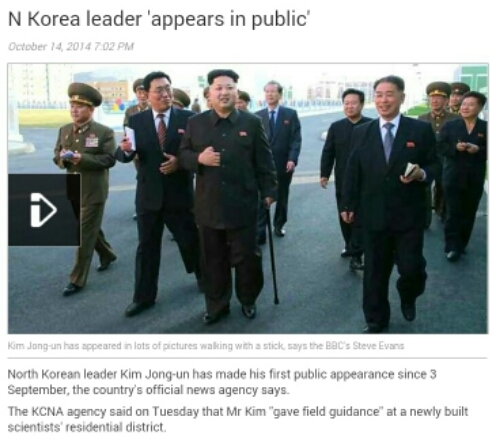 Though the generals could not hastily remove Kim, but they are able to keep him in close watch. Especially now Kim seems to be in not so good health. 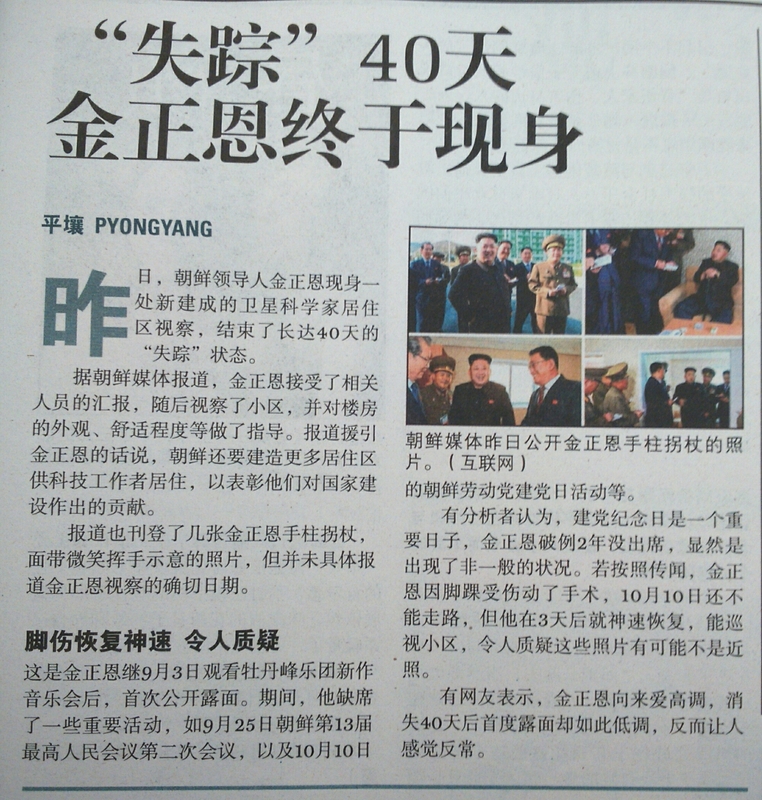 North~south Korean relationship has entered into a new era. In the Singaporean sports arena, a few are really up to international playing field, among them is Fandi. He deserves to have a wax figure made after him. 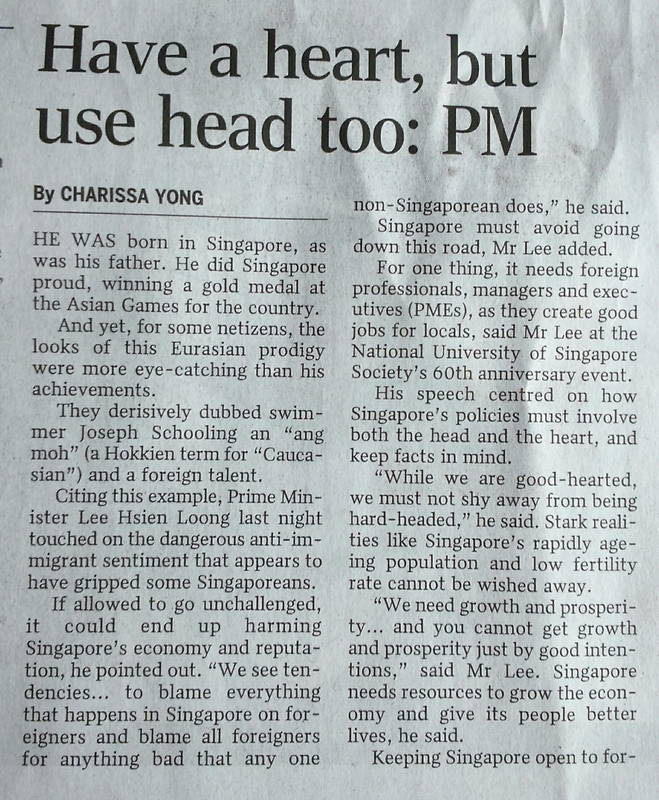 Singaporeans should have a clear~mind to appreciate their fellow citizens who contribute in nation~building, including those who gaining pride and honour for Singapore. 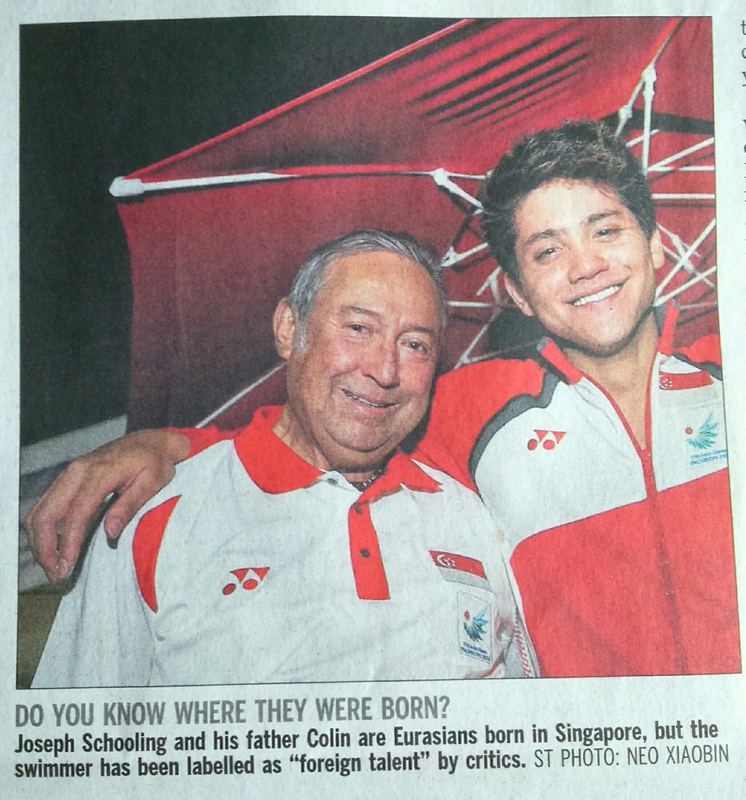 Schooling is such an example to be praised. Also, Singaporeans should bear in mind that The Next Phase of challenges for nation~building would include the PRs and foreign talents. This trend and its real requirements cannot be overemphasized. Even big and advanced countries like the United States of America still needs foreign talents and emigrants. The big challenge remains ~ create a deep sense of belonging… in order to sustain through bad weathers.